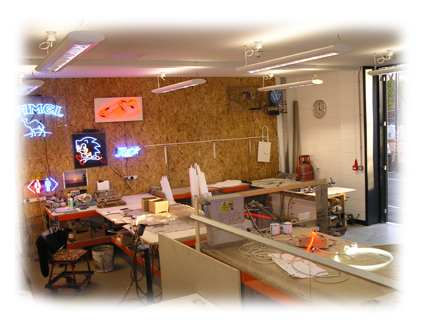 Glass manufacturer and maker of Cold Cathode lighting and Neon for all sectors. From trade engineering and signage to art based or experimental creative works. Also working with Transpennine Express to help the realisation for the future of the north! 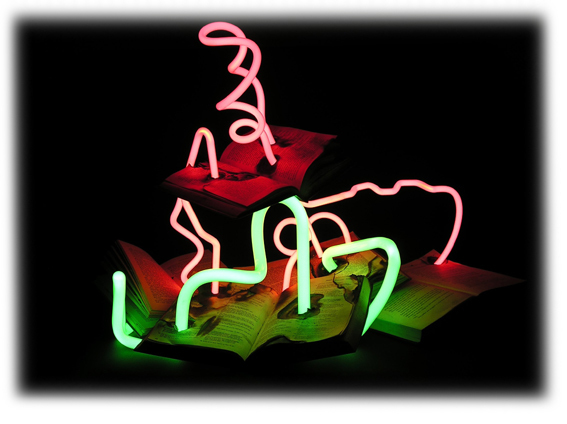 I created a large sculpture in neon in Leeds City Centre and a mentor program view it here: TPExpress Where next Project. Here is the sculpture link. The phenomenon of the electrical arc through neon gas was discovered at the turn of the last century and harnessed in the late 20''s in the UK. The principle is still the same today but using electronic power supplies and safety circuitry to maximise economy and safety. Making Cold Cathode Lighting an economical source of light. Used now in hotels, architectural complexes, television studios,under car,inside car. Even those red dots you see on the side of tall buildings and chimneys. This work is often based around found objects click the title to see some of her work. Using unique tecniques, Julia creates very individual glass jewellery pieces. This page is currenty underconstruction please bare with us. Julia has given many light based workshops in the past at her Studio Neoncraft and in schools, Universities, museums amongst other venues. She teaches Neon Workshops for tubular glass blowing enthusiasts. These workshops attract many backgrounds from Sound specialists to Architects, hobbyists to academics. The Children based learning experiences she delivers are aimed at opening the childs perception of science and understanding of the wonders of the modern world of light and energy consumption. All attendees to date have enjoyed the very full filling time. the workshops are from 1 day to week long. She also offers one on one tuition for the discerning tubular glass manipulating practitioner from novice to high skill levels where the client is looking for a more advanced experience. 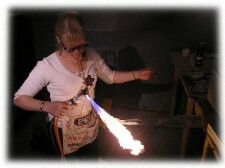 for example creating and using plasma gasses. 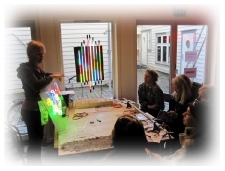 Neonworkshops also arrange travelling workshops where Julia also teaches currently touring Europe: Norway, Denmark, Germany, France, Iceland and more to follow including multiple UK venues. Don''t hesitate to ask, for Info, Technical advice, estimates or just a chatter. Click the contacts page or email. Alternatively use your own email client and email Juliabickerstaff@live.co.uk with your enquiry. All material in the website is copyright protected and cannot be reproduced without prior permission from the respective copyright owners. I am a maker of neon for all sectors: From creative art projects; either governed by myself or guided by other artistic creatives. *Sign industry neon manufacture for all types of neon signs. *Lighting manufacturing of cold cathode lighting. *lamp making for aviation lighting specialities. *minor scientific applications of tubular glass manipulation. *making for the film, TV and media sector.